The Sleep soft quilted polycotton mattress protector set by fine bedding company is a non allergenic quilted mattress protector . 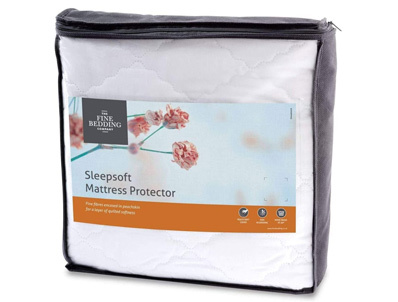 This mattress protector is not water resistant but is resistant to moisture and stains and is made from 70% polyester and 30% cotton and is fully washable. The skirt length on mattress cover is 12" so should fit most deep mattresses.